Microsoft has just announced its public preview of the next release of SQL Server, and Canonical is delighted to announce that this preview is available for Ubuntu. SQL Server on Ubuntu now provides freedom of choice for developers and organisations alike whether you use on premises or in the cloud. SQL Server enables choice of development languages and data types delivering one of the most innovative and flexible platforms to the market. Cost Savings: Organizations can leverage many of the cost efficiencies of elastic and cheap storage and processing on the Microsoft Azure Cloud platform. Resources are allocated as needed and costs are reduced when the platform is not being used as users are not billed when inactive. Performance: Operational Improvements: In the cloud, resources are optimized to manage database workloads as needed. By using process containers like Docker, and service modeling solutions like Canonical’s Juju, organizations can improve the performance of their workloads and improve the speed and efficiency of how data-centric solutions are deployed. Scalability: The promise of the next version of SQL Server is it allows DBAs to build massive Microsoft Azure-based databases without having to add more hardware. By including support for Linux containers, like Docker process or Canonical’s LXD machine containers, organizations can benefit beyond traditional efficiencies. 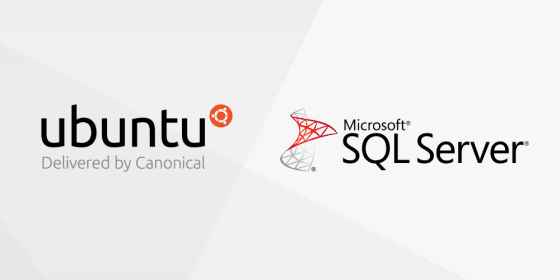 The combination of Canonical & SQL Server brings a consistent Linux cloud experience from: Ubuntu, SQL Server, Containers, and the Azure cloud platform. Images are available on Microsoft’s SQL Server site as well as from Docker Hub and Azure. For further information about how to get started on Ubuntu as well as other resources and documentation, please visit www.sqlserveronlinux.com.